Corporate org chart templates are quite useful for designing and forming your own organizational framework from startups to international enterprises. Today, we gonna check out together some latest recommended easily adaptable org chart templates. Freely click on these charts to see more insights. 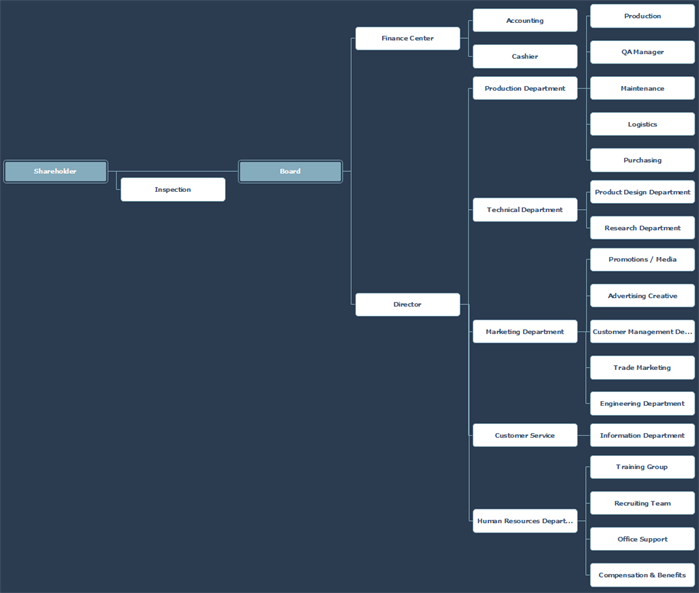 The general type of enterprise org chart template here shows a large company that has many sub-departments like the marketing unit, the operations department, the international sales team and so on. 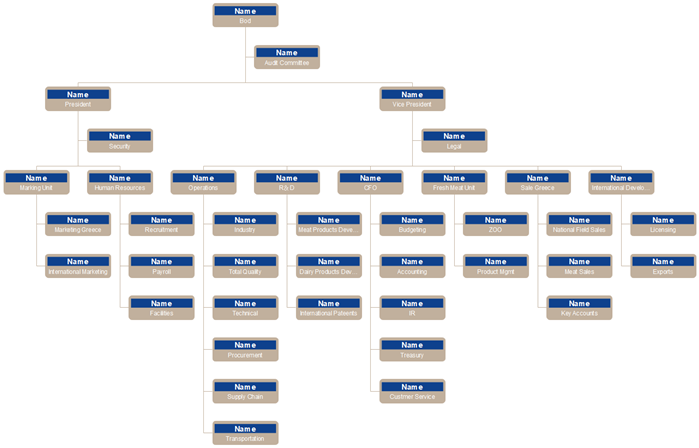 Unlike the above one, the second corporate org chart template here focuses on a typical human resource division of a business firm. You can see all the essential aspects of human resource management from recruitment to training and development. The third template here provides an alternative for a technology industry company, such as a software enterprise. You can see different products teams along with separate research and engineering departments for professional product development process. 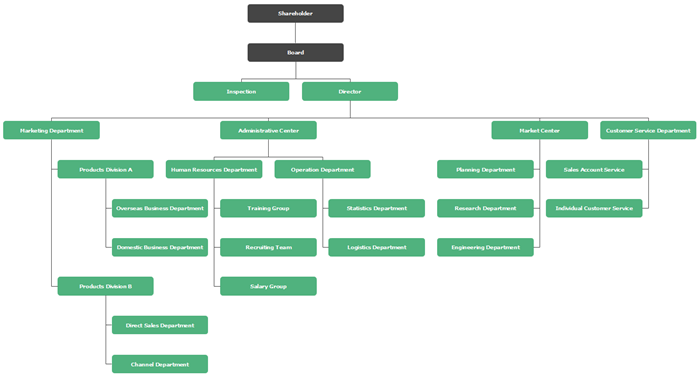 The hierarchical org chart template here is different from the traditional vertical presentation like all of the above ones, but you can still easily find all the important divisions and their reporting relationships. This option here offers you a small business organization structure with employees’ personal photos, name, job title, work phone and emails. You can set a photo at different positions within an employee shape, or add more employee details like working location, date of birth and gender etc. Sounds Great! Where to Start? 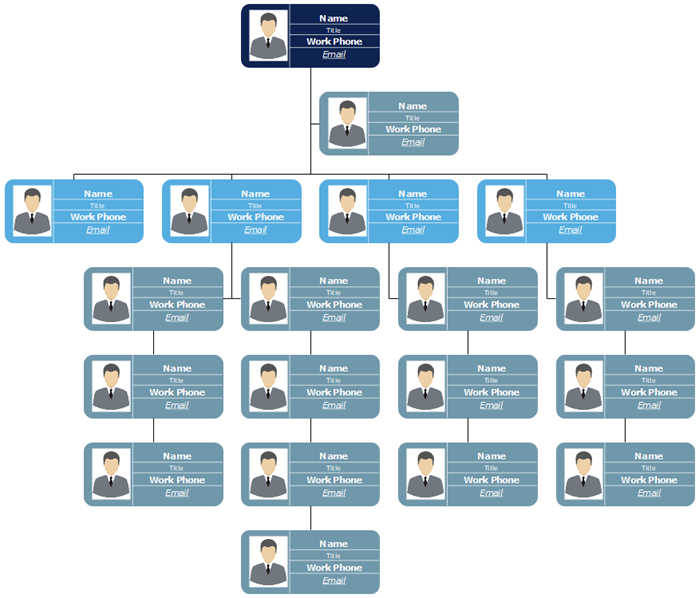 Simply let this easy org chart creator article shows you more productive org chart creating features and built-in resources. You can also try the data synchronization or data self-defined options. 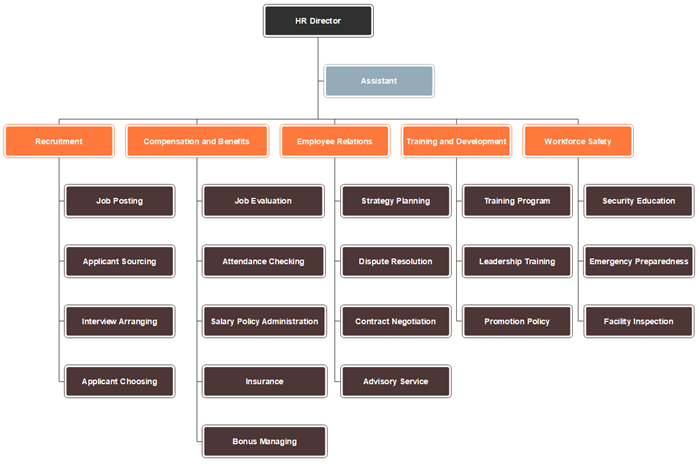 Alternatively, you can try this org chart creator for more stylish impression with various themes.